Frank is a farmer living in Newtownmanor. He is married to Pat and they have four children. A member of Leitrim County Council for the past 15 years, Frank has worked tirelessly to address issues throughout the community for all constituents. 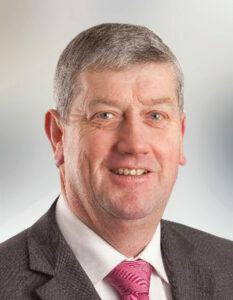 He has a proven record of work and commitment to the people of the area and is determined to continue this work, giving those in the newly formed electoral area the strongest possible representation in Leitrim County Council. Health, Agriculture, Infrastructure, Housing, Sport and Tourism are some of the many issues of interest for Frank where he aims to make positive progress. Frank’s commitment is to continue to work diligently on your behalf endeavouring for progress & development in the electoral area he represents.